Here is the official Calendar of Government of Odisha. (Orissa). From this calendar you can get official government holidays list, Major Minister name with department. The calendar is available in PDF. you can open this e-calendar on your Smart phone, PC, laptop, tab etc. 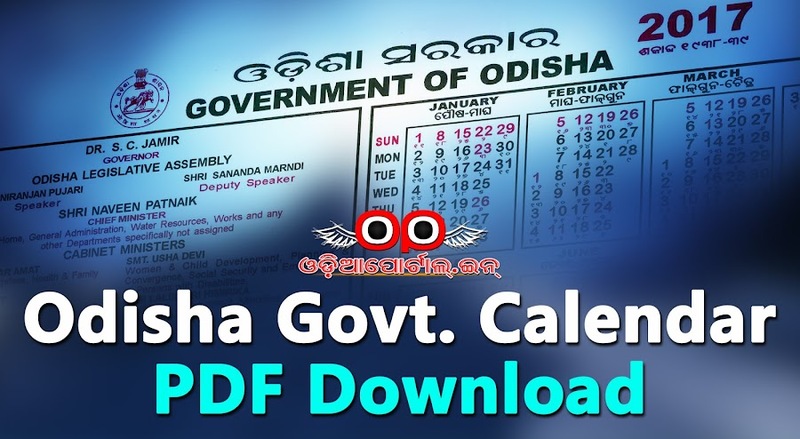 INSTALL OUR APP TO GET 2019 to 2010 Odisha Govt Calendar! Why not upload odisha govt calendar 2018 yet now.. Please download the calendar now. Thank you! Local declared holidays & State declared holidays should be uploaded for public.